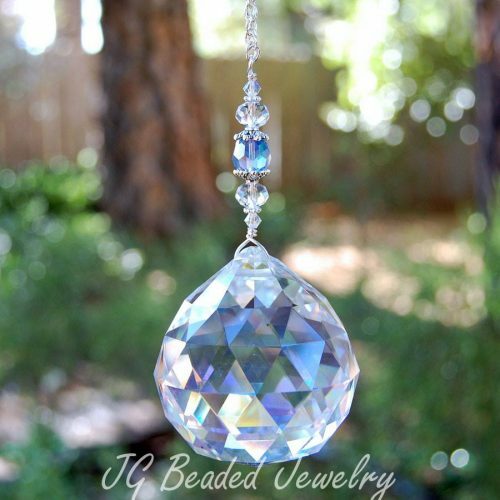 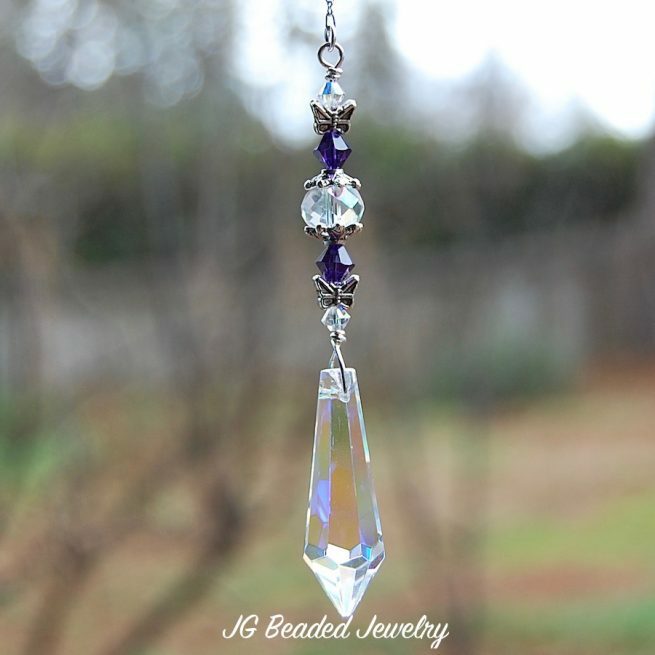 This butterfly teardrop crystal suncatcher is made with a 1.5″ teardrop crystal prism that has a partial aurora borealis finish which will increase the rainbow effect when in direct sunlight! It is wire wrapped by hand with beautiful deep purple and iridescent Swarovski crystals, fancy silver metal butterfly beads and bead caps that surround a faceted crystal bead in the middle. 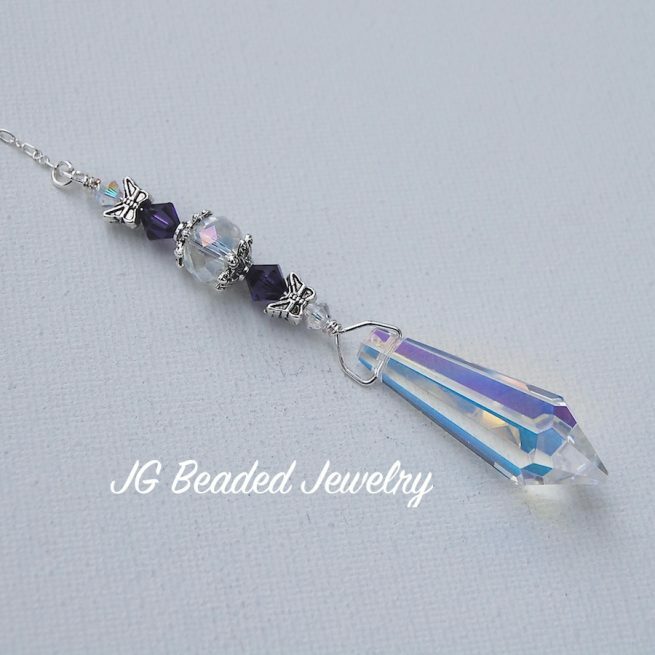 Alternate Swarovski crystal colors are available by request!